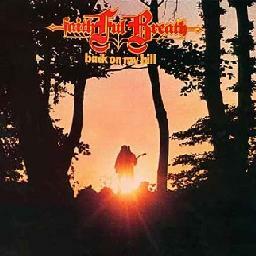 Faithful Breath - "Fading Beauty" / "Back On My Hill"
Fading Beauty is one of the most singularly unique albums in Krautrock. To be precise though, it isn't exactly Krautrock in the purest sense, more English style progressive rock written and played by German musicians. 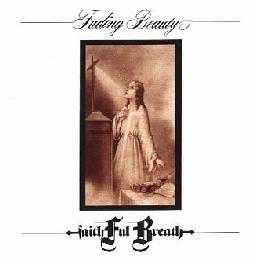 But even in the annals of progressive rock, Fading Beauty stands out as something extraordinary. Originally released in 1974, it failed commercially, and only in later years has it become recognized as a classic. To call it rock isn't entirely accurate. Although played on the traditional instruments of progressive rock, the music here is more akin to impressionist painting. There are only two lengthy pieces on the album. The first, Autumn Fantasia beautifully conjures up the 'fading beauty' of an austere autumn landscape, with haunting melodies, passages of mystery and decay, complex and woven together seamlessly into a instrumental sonic painting that breathtakingly captures the melancholic sadness and majestic beauty of the season perfectly. A masterpiece! The second track, Tharsis, which covered the original second side of the LP, is what one might call 'mythic impression'. As lyrics tell a tale of mythic qualities, the music weaves in and around them, telling the story as well. It has all the majesty and mystery of Autumn Fastasia, but the melancholy is replaced with a certain fear and intensity, as the apocalyptic tale unfolds. Because of the commercial failure of Fading Beauty, it would be three years before the band would record again, and still another three before the album would actually get released. By this time, their new sound heralded the direction they would continue to take, right up to the present day as one of Germany's longest running hard rock bands. But Back On My Hill, while starting to approach this new direction, still contained many elements of their progressive sound, still making this a worthy listen for fans of the genre. There was even still a 17-minute long epic, Judgement Day, another apocalyptic tale, this time a little heavier than Tharsis was, but with some fine playing, nice vocal harmonies and decent solos. The rest of the album was shorter tracks. Not as inventive or creative as Fading Beauty perhaps, but the band could still write some good tunes. The title track is a melodic piece built around interwoven acoustic guitars and a complex structure, which even includes a synth solo, and is quite a nice opener. Keep Me Away is a heavier rock tune, but still has that 70's vibe to it. This Is My Love Song is a soft, piano ballad, but uses the Mellotron to nice effect in the middle. Stick In Your Eyes is a nice progressive rock tune on a less epic scale. At this point in their career, they might be compared a bit to say 70's era Uriah Heep. After this, Faithful Breath would jettison the progressive elements of their sound and go for a more straight ahead heavy rock and metal sound in the 80's. It paid off for them, as they were far more successful at this, commercially anyway, than at progressive rock.